The Lockheed Martin F-22 Raptor is an air dominance fighter with advanced capabilities. 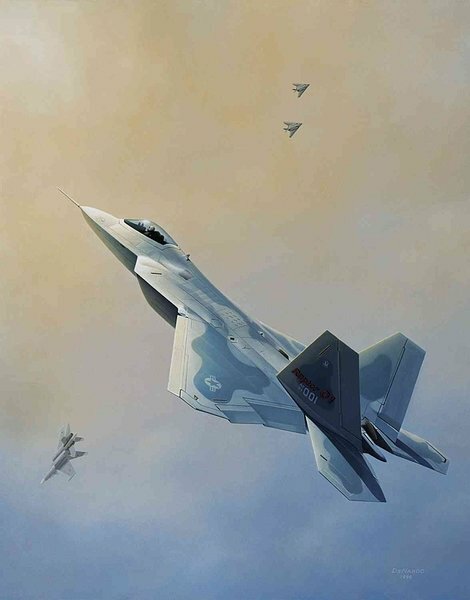 It is powered by the Pratt & Whitney F-119 engine with full-time thrust vectoring nozzles that enable great agility and incredible maneuvering at slow speeds. Compared to the F-15 it is to replace, the F-22 has non-afterburning “supercruise” capability at Mach 1.5+, longer range, enhanced avionics, and reduced observability. It has proven to be a hardy, reliable aircraft and has delivered better than expected performance. It has an internal 20-mm cannon, carries short and medium air-to-air missiles in internal bays, and has provisions for ground attack weapons. Because of its stealth properties, advanced sensors and highly integrated systems, the pilots have a “first look, first-shot, first-kill” capability.